Spotlight on a way of life in the Pacific Northwest. John Nelson's stories of growing up on the docks and his practical techniques for preparing and cooking a variety of seafood in Pacific Northwest style makes this more than a recipe book. It is a snapshot of the fishing culture that resides alongside the docks of Oregon and Washington. Nelson's thorough yet personable instruction makes it so even the most timid cook will feel at ease creating delectable seafood dishes, the most experienced of cooks will feel challenged, and every guest completely satisfied. 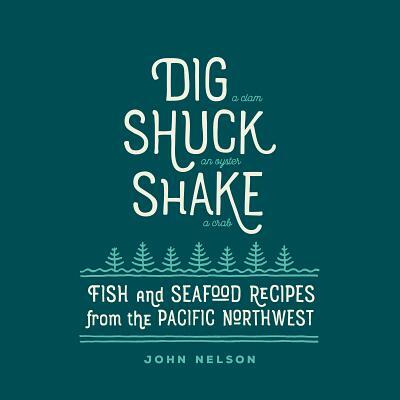 With recipes reflecting kitchens from Scandinavia, Asia, Germany, South America and more, Dig - Shuck - Shake captures a distinctive style of authentic Pacific Northwest cooking.